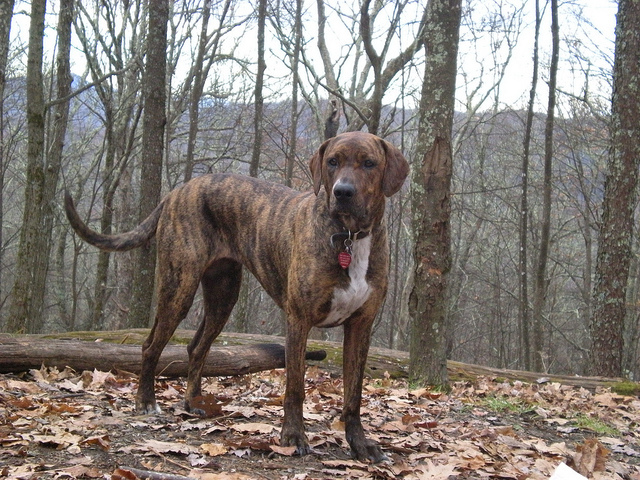 Plott Hound, also known as the Plott, is a scenthound. It is a hunting dog known for being bold and fearless but also for being a quiet fellow at home. It is the state dog of North Carolina. Despite such recognition it is one of the less popular breeds in the United States. The large breed was originally used to hunt bear. The United Kennel Club had recognized the breed as early as 1946 but the American Kennel Club did so only in 2006. Plott hound excels at tracking. Its hunting abilities are legendary. The long tailed, streamlined and light footed dog is as tall as twenty five inches. Females are an inch or two shorter usually. Males can weigh fifty to sixty pounds while females weigh forty to fifty five pounds. The plott has a flashy coat. It may sport a myriad of patterns, mostly brindle stripes. The colors can be a mishmash of black, gold, russet and flaming orange. There can be some other solid colors too. The dog has moderately long ears and they hang elegantly. They have black eye rims. The poise and movement of the dog reflects its strength, endurance and agility. The leggy hunting breed is moderately boned. Some can have a rather bony appearance and this has more to do with its athleticism than anything else. The eyes are hazel or brown. Plotts have a flat skull but it is rounded around the crown. The muzzle is moderately long. The neck is muscular and of medium size. The topline has a gentle slope. It is a deep chested breed with well sprung ribs. The back too is muscular and strong. The loin is arched. The tail is long and can take up a saber like form at times. 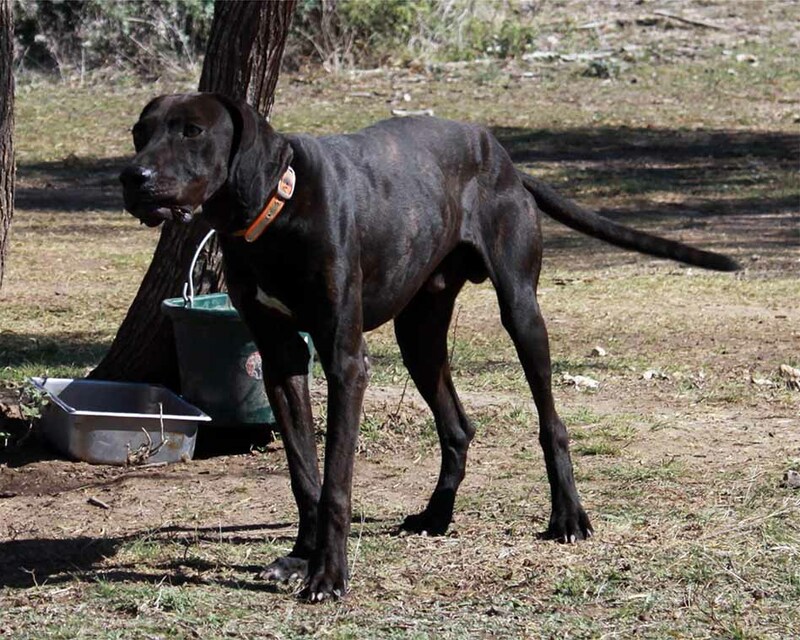 Plott hounds have clean, sloping and muscular shoulders, straight and muscled forelegs, round and wide hips, muscular and long hind legs, powerful thighs and tight feet with strong toes. Plott has a fine, smooth and glossy coat. It does not require daily brushing. Once a week brushing should suffice and loose hair and dirt can be got rid of using a hound glove. It does not require frequent bathing either. An occasional shower would be enough to get rid of the doggy odor. Unless a plott hound is spending most of its time outdoors, running and tracking and hunting, it would not develop doggy odor in just a day or two. It does need its ears to be cleaned regularly. It can have excessive earwax otherwise. You must also get rid of the debris from its ears. Plott hound can have its nails trimmed down in the natural course of things, while tracking, running, hunting and playing. Else, you should trim it often. It is an intelligent dog. It is always alert. Its confidence is always on display. The dog is aggressive during hunting but it is otherwise calm. It is athletic and has a steely sense of determination. Plotts are loyal and willing to please. They are fearless. They are more independent than other popular breeds of dogs but also responsive. They are not the perfect family dog but they are suited if you live far from the city. The dog can be extremely utilitarian for those who work the fields. Since the dog is willing to please, it does love to be around people. If groomed well in time then plott pups can grow up to be highly sociable. Plotts are relentless and tough. They need plenty of exercise. They excel outdoors. It is not a breed you would want to spend all its days and nights at home or within the confines of the yard. Its determination, endurance, aggression and agility make it conducive to various types of training. Long walks and jogs are the least they need. However, plotts should be on leash at all times. If they spot a prey, then they would keep chasing it till it vanishes somewhere or it is captured. Some plotts may become aggressive towards toys and foods. They should be trained to be calmer in some instances if there are early signs of such behavior. 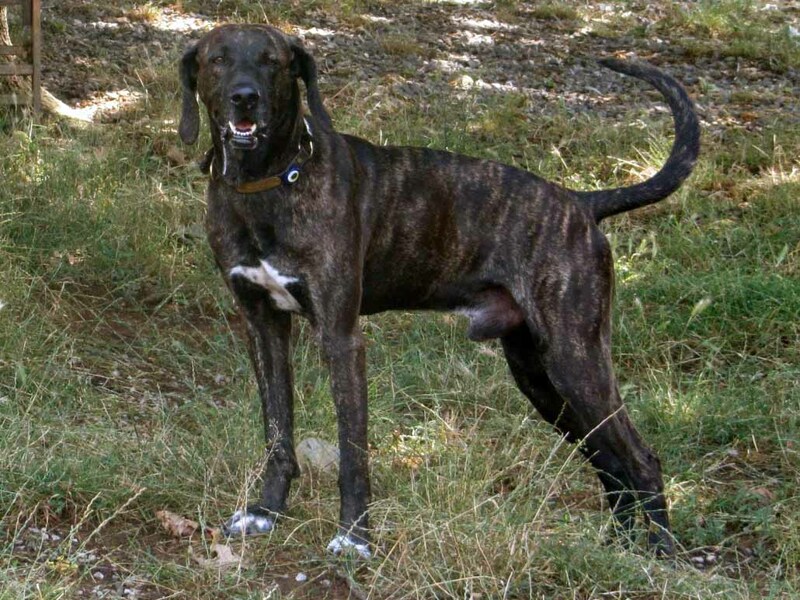 Plott hound is a German breed. It descended from Hanover hounds. It is one of the six coonhound breeds but it did not evolve from English foxhounds. Although the breed is of German origin, it thrived in the state of North Carolina in the United States. This is why it is the state dog. Johannes Plott, a German immigrant, settled in the state with his family and five Hanover hounds. These were used to hunt bears. Henry Plott bred the Hanover hounds and raised what is today known as the Plott hound, which was then called Plott’s hound.